This week, the world will commemorate the 100th anniversary of the Titanic’s maiden voyage and sinking in the North Atlantic. As with many moments in history, dogs were part of this event. 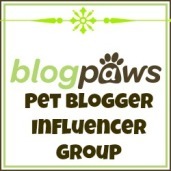 Dogs were among the passengers of the Titanic and the ship had dedicated kennel facilities. A dog show had been planned on board the ship for Monday 15th April. When the ship was sinking, it was reported that a passenger went to the kennels and released the dogs to save them from drowning in their cages. According to (mixed) records, between 10 and 12 dogs were on board the ship. 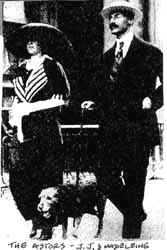 The Astors (perhaps the richest passengers on board) were traveling with their Airedale named Kitty. Each day a member of Titanic’s crew would exercise the dogs on deck. 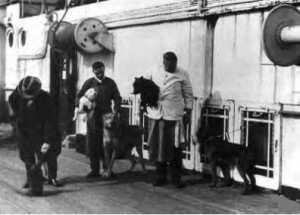 A photo (unattributed) reported to be staff of the Titanic taking dogs for a walk on deck. Three dogs survived the sinking. There was a Pomeranian owned by Miss Margaret Hays of New York; the pair escaped in lifeboat Number 7. Elizabeth Rothschild escaped in lifeboat Number 6 with her Pomeranian. The other dog was Pekingese named Sun Yat Sen owned by Henry Sleeper; owner and dog escaped in lifeboat Number 3. 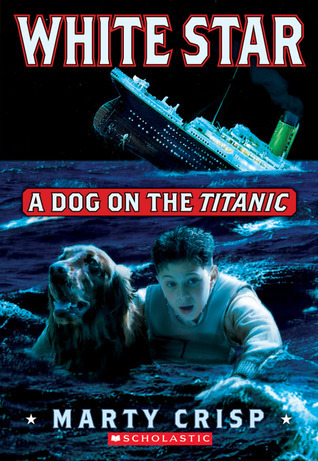 Not to be confused with actual history, a book by Marty Crisp for young adults tells the story of White Star: A Dog on The Titanic. In this fictional story, a 12-year old named Sam Harris is traveling from England to America. Sam volunteers to help out in the Titanic’s kennels and meets Star, an Irish Setter. The boy and dog live through the sinking. Owners Breed Boarded Home Cabin # Lifeboat Survived? Ann Isham, 50,spinster expatriate who had been living in Paris with her sister for the previous nine years (Isham is a possible, not a verified, dog owner.) 11) Great Dane(could also have been a Saint Bernard or a Newfoundland) Cherbourg Paris and New York City C-49 Refused to get in a lifeboat without her dog. Isham- no; dog-no. A woman was spotted by passengers on the German liner “Bremen” two days after the sinking, floating in her lifejacket with her arms wrapped around a large dog. Elizabeth Barrett Rothschild, 54,wife of leather magnate Martin Rothschild, traveling with her husband 12) Pomeranian Cherbourg New York City Lifeboat 6 Rothschild- yes; Pomeranian-yes Mrs. Rothschild and her dog were on the same boat as the famously unsinkable Molly Brown. Martin Rothschild went down with the ship. FICTIONAL Sam Harris, 12,returning to the U.S. after three years of boarding school in England. Irish setter,”White Star,” owned by J. Bruce Ismay, president of the White Star Line and also a passenger on the Titanic. Southampton for Sam; Queenstown, Ireland for the dog Lancaster, PA. B-47 Lifeboat 4 Sam- yes; Star- yes. Boy and dog were rescued from the water right after Lifeboat 4 was lowered.